Back to school time is my favorite time to find new ideas for my students. I absolutely love making my students something special for the first day of school. I usually try to make a bookmark of some sorts because I feel like it promotes reading. Have you ever seen a student get excited about using a new bookmark???? Well, they totally do, and it is awesome! 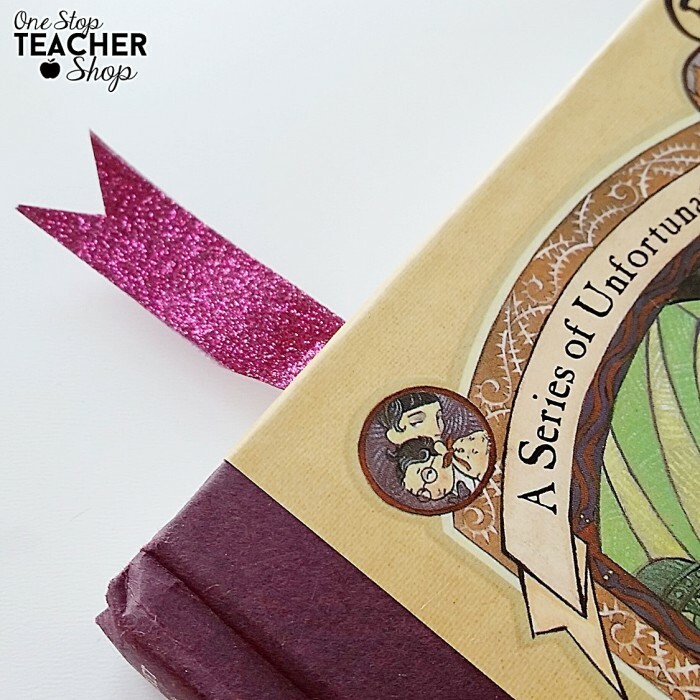 Back to school time is the perfect time for this DIY bookmark project. Here is a really cool bookmark that I recently learned how to make. It is SO easy, and kids love them. 2. Cut a piece of washi tape that is about 4-5 inches long. 3. 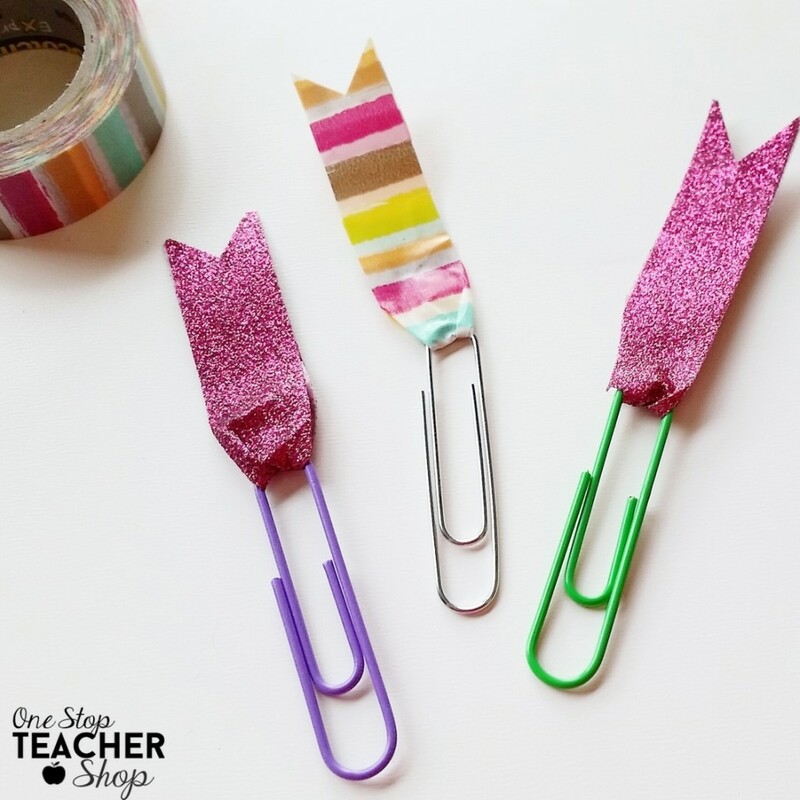 Slip your washi tape through the small side of the paper clip. Make sure you slide it until the paper clip is close to the middle of your washi tape. 4. 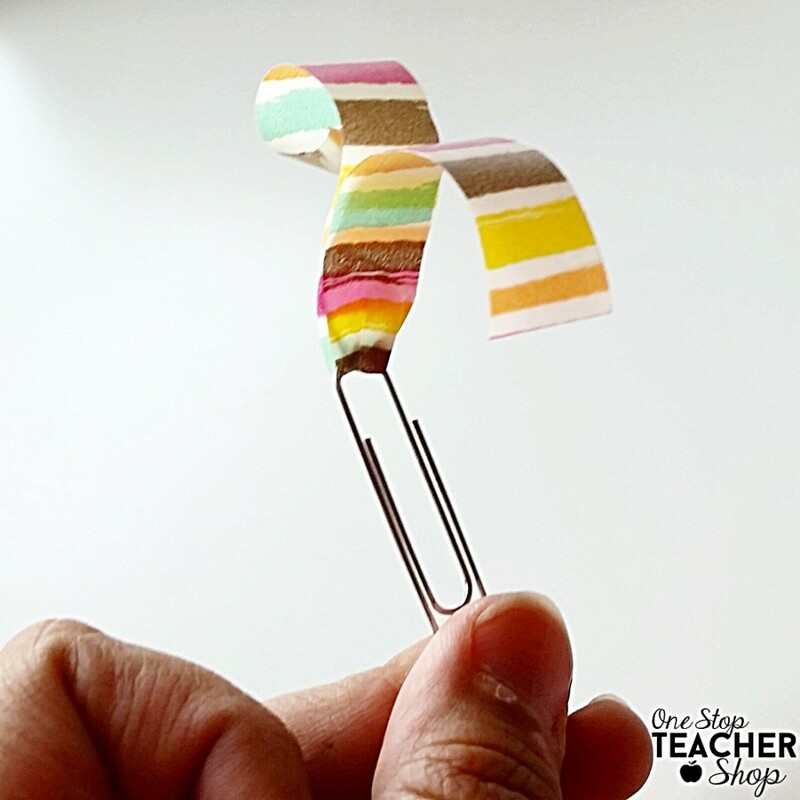 Fold the washi tape so that both sticky sides are now sticking to each other. 5. 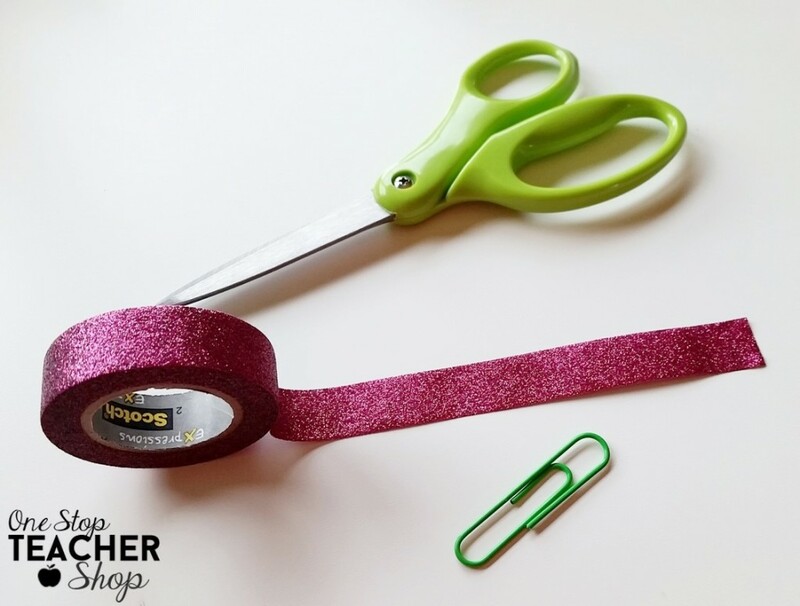 Cut the end of the washi tape in a v-shape, or any way you want. That’s it! Now your students will have an awesome bookmark they can use to make reading time in the classroom that much better! Wanna turn this into a fun “first day of school” project? Give your students the materials and show them the finished product. Have them work in teams to try and recreate the bookmark. Once they do, they have to write their own step-by-step directions for how to make the bookmarks. This project gets kids thinking, working together, and practicing their writing. It’s a win-win-win. 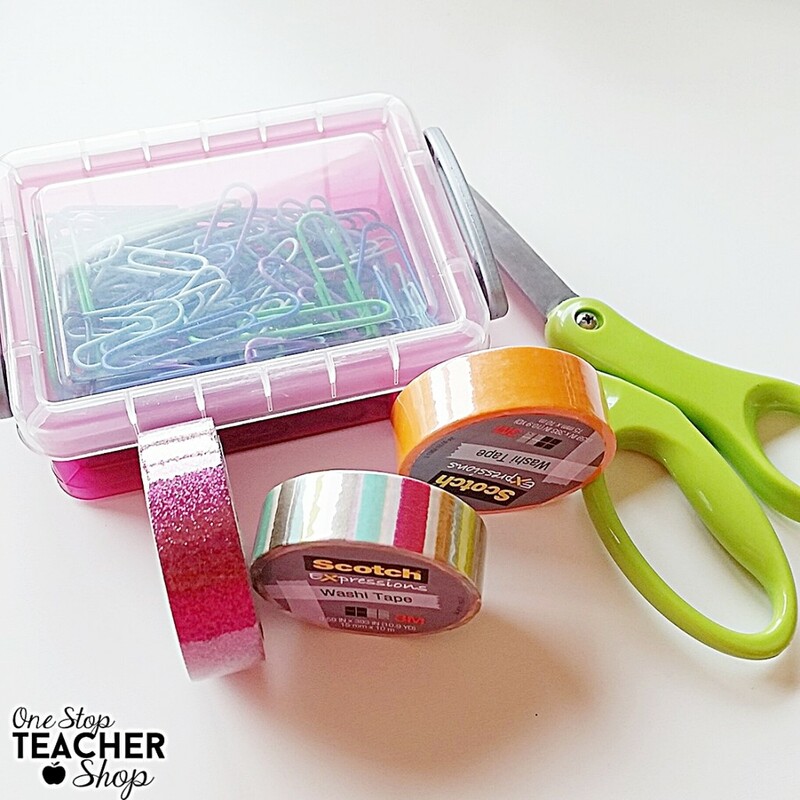 Check out my Back to School Pinterest Board for even more ideas!